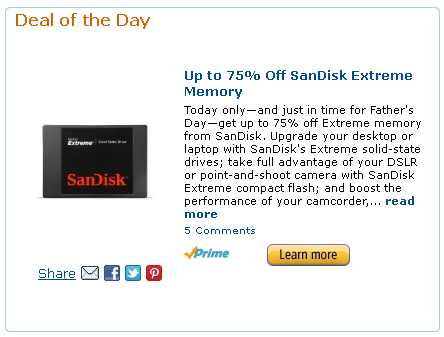 Once in a while Amazon throws a sale we can't miss, and today's SanDisk memory blowout as part of the Gold Box deals is a perfect example of just that. We have fast SanDisk MicroSD "Ultra" cards ranging from 16GB ($18.99) to 64GB ($59.99) at lowest prices ever for these cards according to all the price checks I've run. 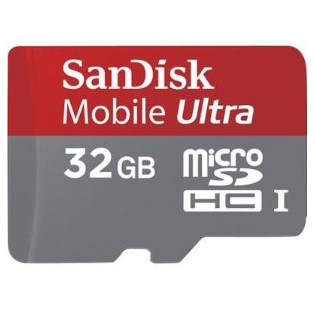 The 32GB MicroSD is in the sweet spot of $27.99. Remember, these are not Class 2 or Class 4 - they're high quality Class 6 and Class 10 cards rated for 30MB/s transfer speeds and Full HD video recording. and last but not least, 6Gbps "Extreme" SSDs ranging from 120GB ($99.99) all the way up to 480GB ($379.99), bearing a pretty spotless 4.8-star rating and looking absolutely fantastic. SanDisk makes some of the best memory products on the market, and today's Father's Day 1-day sale is a godsend for anyone looking to upgrade their Android devices or other electronics (if you're still using a hard drive, do yourself a favor - upgrade to an SSD and collect brain matter following the inevitable mind blowing). As is the case with every Gold Box, the deals last for one day (Friday, June 8th), and will likely sell out quickly.